WWZ blah, blah, blah! AICN HORROR’s got a unique zombie film you should see called THE BATTERY! WWZ blah-ditty, blah, blah, blah! AICN HORROR’s got a truly unique zombie film you should check out instead called THE BATTERY! Greetings, all. Ambush Bug here with a special AICN HORROR: ZOMBIES & SHARKS column. So given the name of this column, it’s obvious I’ve seen a lot of zombie films in my day. And nine times out of ten, they’re bad ones. So when a zombie film comes along that it original, different, and entertaining, I feel like it needs to be recognized. Now, I haven’t seen WORLD WAR Z, but I’ve heard that if you’re a fan of the book, you’re most likely going to come away from it wanting. 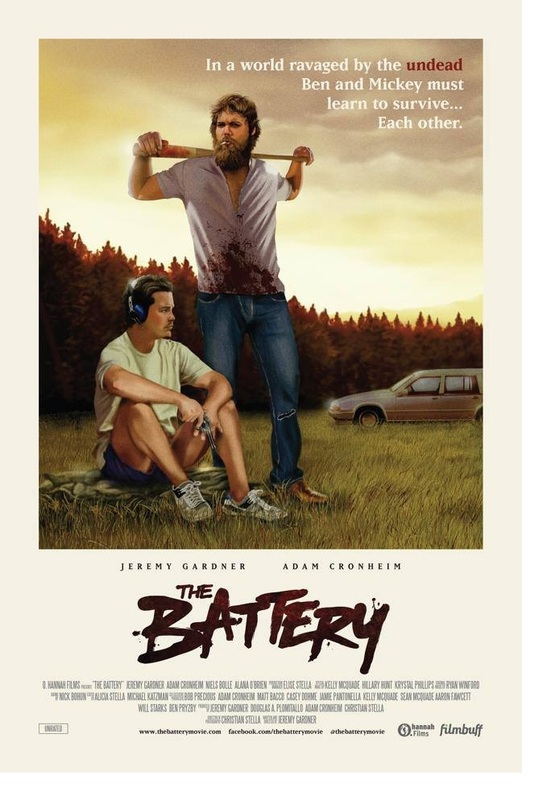 So if you’re the type of person who wants to give the little guy a chance, who roots for the underdog, and wants to tell Hollywood to shove it with the bloated way they make their PG-13 version of horror, you should check out a little independent zombie film made available this week called THE BATTERY, written/directed/starring Jeremy Gardner. Now sure, the most ideal thing is to see both, but if you are, I’m pretty sure you’re going to want to wash your palate with something good, so watch WWZ first, and then end on a high note with THE BATTERY. I promise you won’t be disappointed at this fresh new take on zombies. Either way, if you’re a fan of zombies (and what the hell are you doing here if you aren’t? 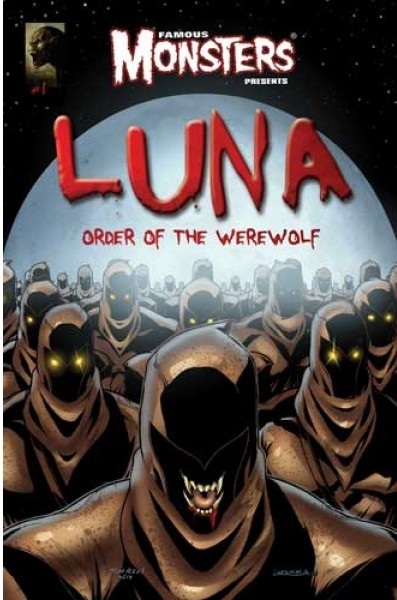 ), be sure to click on the below links and order it for digital download! Here’s my review of THE BATTERY! Available for digital download today! There are those who hear that a film is about vampires or zombies or found footage and immediately write them off. Sure, those folks are protecting themselves from scores of pretty bad films, but by doing so, you miss out on the occasional gem to come along and really tell a new and original story involving one of these subgenres. Sure, I have to watch a bunch of crappy vampire films, but if I didn't I would have overlooked KISS OF THE DAMNED (reviewed here). If I'd have turned up my nose to all found footage films, I would have cheated myself out of seeing the surprisingly fun THE DINOSAUR PROJECT (reviewed here). 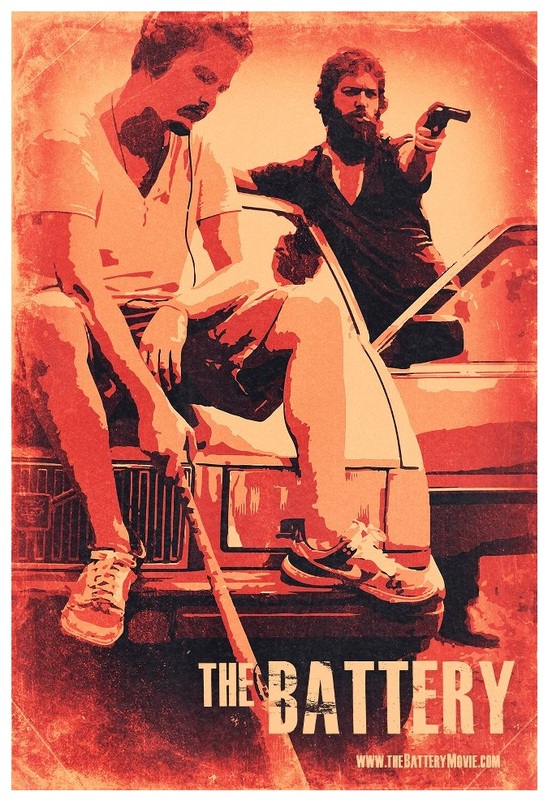 And had I turned a blind eye to all zombie films, I would have missed my favorite zombie film of the year, THE BATTERY. THE BATTERY's genius lies in its simplicity. Peel back the rotted, decayed layers and you'll see at its core, it's a movie about friendship--a strong friendship between two guys who just happen to be wandering around in a world infested with zombies. Though the first moments begin with a literal bang, quite a bit of the film consists of the quiet time showing the highs, the lows, the differences, the embarrassing moments, and all of the complexities of friendship. Because who would you rather spend the zombie apocalypse with other than your best friend? Not to get too schmaltzy, but this is the type of film that really highlights the importance of friendship and illustrates it well by placing two friends in the most dire of circumstances. Though one might think these two characters--star/writer/director Jeremy Gardner (who plays the free-wheeling Ben) and actor Adam Cronheim (who plays Mickey, the more uptight one), would tear each other's throats out since they are as different as can be in the way they approach this zombie plague, this Odd Couple of the Apocalypse work well together. The title of the film is explained later as the two friends, exact opposites, act as a battery, positive and negative charges looking out for one another or in baseball terms (a sport they both love) someone throwing the ball and another one catching it. Throughout the film both of their personalities prove crucial in their survival as Ben keeps things fun in order to retain their sanity and Mickey being neurotically careful making every one of their moves. A film such as this, which relies on quite a bit of conversation and interaction, would not be able to hold water if the performances weren't good. 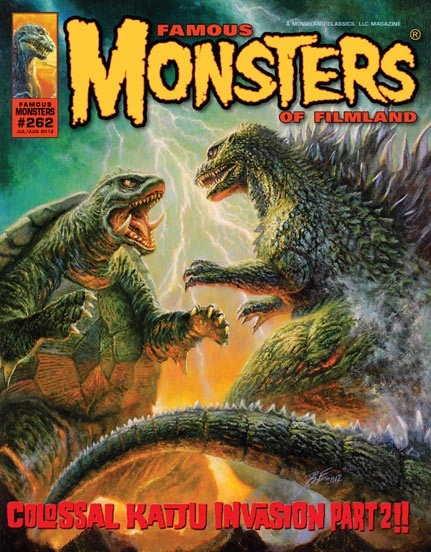 Fortunately, both Gardner and Cronheim do a fantastic job in making things feel as if they have been friends forever. Gardner especially does a great job here and is given the most emotional turmoil to go through as the story goes on. Gardner's Ben also gets to show off his dancing skills as he lets off steam to some of the fantastic music from Mickey's music collection. This soundtrack works itself in and out of the narrative, sometimes lightening the mood, sometimes offering the perfect time for a release of tension, and other times illustrating a haunting overtone. Gardner peppers in fantastic tunes from Rock Plaza Central, The Parlor, Wise Blood, El Cantador, and Sun Hotel which I immediately downloaded after hearing in the film (something I rarely do). What sets THE BATTERY ahead of the zombie herd is the attention to structure in the story as well. The film starts out with these expansive scenes of open forests, lakes, and fields. Being the savvy survivors that they are, Mickey and Ben get out of the populated areas and stick to the open spaces. But just a few wrong turns--mostly perpetuated by Mickey's need for something more than living a vagabond existence (an existence Ben is more than comfortable living), Ben and Mickey go from expansive spaces to the exact opposite; cramped in the back of a keyless station wagon surrounded by hungry zombies. As calm and serene the first half of this film is, the tension is cranked to the limit once Ben and Mickey, pushed to the limits of their friendship, are forced into the small quarters with nothing but liquor, beans, a baseball bat, and a gun with six bullets. 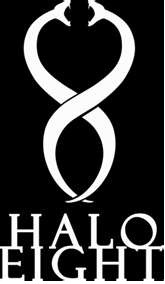 The story becomes a test of will for the two men, seeing not if they survive, but how long they can survive. The ending of this film is absolutely heartbreaking, another testament to Gardner's talented story, the cramped direction of the camera inside of the car, and the performances by Gardner and Cronheim themselves. It's a story that resonates long after the credits and makes you want to rewind and enjoy the journey all over again to see these two friends interact with one another. So likable, these two actors make you wish you could backpack with them across these fantastic locales. THE BATTERY is not your typical zombie movie in that it's about much more than plagues, spectacle, and world wide catastrophe. It's a small film that hits harder than most big budget yarns; making you laugh, cry, and root for these two friends to survive despite the odds against them. Sure films like WORLD WAR Z are going to have the spectacle, the big budget promos, and the star power, and I'm sure that PG-13 zombie film might have its merits, but you're not going to find a zombie film this year that is more original, more touching, or simply more entertaining than THE BATTERY. If you’re looking for more on THE BATTERY, check out my interview with the director Jeremy Gardner here!